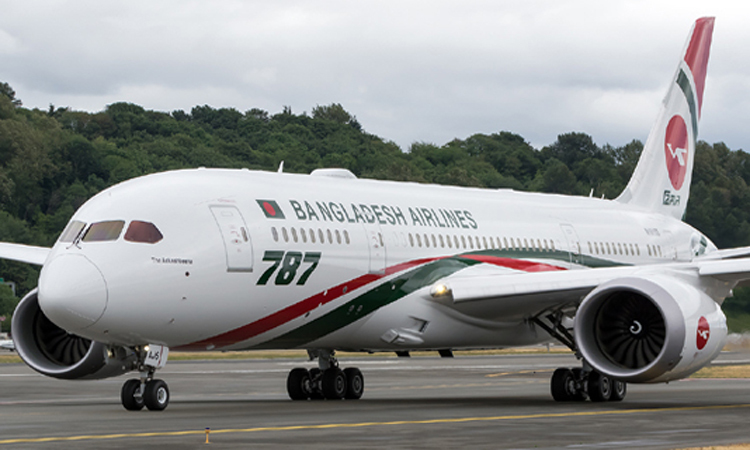 The second Boeing 787-8, known as the Dreamliner, reached here last night as the 15th aircraft to the national flag carrier Biman Bangladesh Airlines that vows to enter a new era of modern aviation with latest modeled aircraft. “The new aircraft named as Hangsha Balaka landed at Hazrat Shahjalah International Airport at 11:40 pm last night after making an uninterrupted fifteen hour flight from the USA’s Seattle’s Boeing Factory,” Biman’s Manager Public Relations Shakil Meraj told BSS today. Earlier, the Boeing authority handed over the ownership of the brand new aircraft to Biman’s Director Flight Operation Captain Farhat Hasan Jamil in Seattle on November 29. 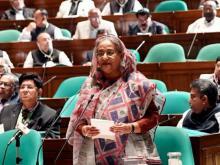 Earlier, the first Dreamliner Boeing 787-8, known as Akash Beena, arrived here on August 19 that was inaugurated by Prime Minister Sheikh Hasina on September 1 last. The dreamliner aircraft are slated to operate flights from Dhaka to London, Dammam and Bangkok routes. These will operate six flights on Dhaka-London route, four on Dhaka-Dammam route and three on Dhaka-Bangkok route in a week from December 10, Biman Bangladesh’s Managing Director and Chief Executive Officer (CEO) AM Mosaddique Ahmed said. It will provide its passengers with wifi services at a height of 43,000 feet, allowing passengers to browse the internet or connect with their friends and family11:23 AM 12/2/2018 at any end of the world.